The negativity towards NUFC continues, with many journalists beginning their articles with ‘and more trouble in Newcastle’, or ‘fans backlash’, or a headline that indicates all Newcastle fans protest at all decisions made by the hierarchy. What have NUFC done to anger the national Papers? To an outsider with little knowledge of footballing sponsorships, reading Wednesday’s papers they could quite easily be mistaken to believe that as a club we are the only team to not be ‘sponsored’ by a charity, or some non-profit making corporation. I would not personally be in any rush to go to Wonga to take a loan if I was in need for a few beer tokens on a match day, and I’m not in full backing of what they offer, but from the point of view as a fan what I can’t understand is the mass negativity. We are not the first team to advertise an unpopular brand, or a brand that attracts complaints and we certainly won’t be the last. 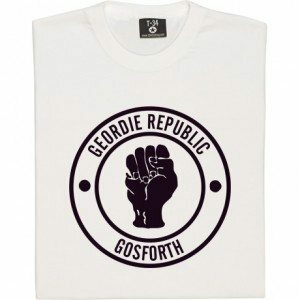 Only £14.99 – Choose Your Own ‘Geordie Republic! 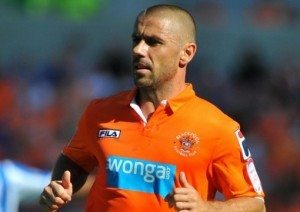 Here’s a few for starters; Hull City and Motherwell unveiled their shirts with Cash Converters (a fellow payday loan company) as the main sponsor, then you have Blackpool and Hearts who also have Wonga emblazoned on their shirts. So far there has been no national outcry and no articles in mainstream newspapers. Now are these stories simply highlighting that we have some Good Samaritan journalists who write on behalf the ‘vulnerable’, or is this just another way to discredit our club. Will these same journalists and pundits be voicing their concerns in the big ‘battle of the payday lenders’ clash a week on Sunday when Motherwell play Hearts (AKA Cash Converters vs Wonga.com)? Will there be the same outcry? Will they blank out any Wonga logos that appear within their newspapers that bring in money through advertising? Time will tell.